Square decided to make its own register so it could solve some of issues in the iPad-based one. The iOS device that’s at the heart of the original system needs to be kept updated, as does the Square payment software. That’s a breeze for a very small business with a single register, but can become a full-time job for companies with dozens of them. The Square Register, its Android-based POS, can be updated automatically. 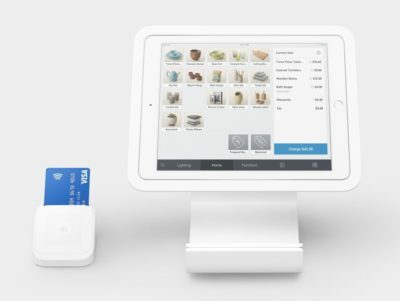 The Square Stand is a point-of-sale terminal built around an iPad. Also, the iOS-based Square Stand has a single 9.7-inch screen: the iPad. That means it needs to be rotated around so the customer can sign their receipt. This doesn’t work in cramped spaces. Square Register has two screens: a 13-inch one is for the store employee, and a 7-inch display for the customer. The disadvantage of the Android-based register is, at $999, it’s much more expensive. The iPad-based Square Stand is $169 plus the cost of the tablet. It works with a variety of 9.7-inch iPad models, including the 2018 model that’s just $329. Combined with the Stand, the total is just $498.